It appears that Pennsylvania's new governor wants to put state funding for Penn State back on the fast track. A source close to Gov. Tom Wolf tells StateCollege.com that Wolf will unveil a dramatic increase in state funding when he presents his first budget proposal at 11:30 a.m. Tuesday. According to the source, the state appropriation for Penn State would increase by $49.6 million under the governor's 2015-16 budget proposal. That's roughly a 23 percent increase over the previous year. A Penn State spokesperson says the university is not aware of any details regarding changes in state funding. The state's general appropriation this past year was about $214 million, most of which was earmarked to subsidize in-state tuition. 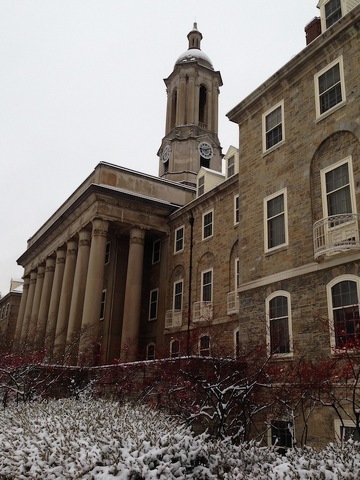 Under Wolf's proposed 2015-16 budget the total amount allocated for Penn State would rise to $263.7 million. The source, who says the governor plans to increase education funding across the state, did not reveal how the Wolf administration plans to pay for the spending increase. The state is already facing a two billion dollar budget deficit. However, numerous media reports suggest Wolf will back large increases in the personal income tax and sales tax rates. The source says, "This is part of a two year plan to make Penn State whole," after severe budget cuts imposed in recent years. Funding from Harrisburg has been a critical issue for the university. Governor Corbett slashed 20 percent, or $68 million, from Penn State’s funding in his 2011-2012 budget. Funding was restored to the previous level of $214 million in 2013-14. The university received the same amount in the 2014-15 state budget. Penn State says the current funding is close to the allocation the university received from the state in 1997. To make up for the revenue shortfall the university says it has cut costs by more than $124 million over the last five years by reducing staff and eliminating some academic programs. Just one week ago, the Bryce Jordan Center floor was packed with Penn State students, alumni, and Four Diamonds families ahead of the announcement that over $13 million was raised in the fight against pediatric cancer. 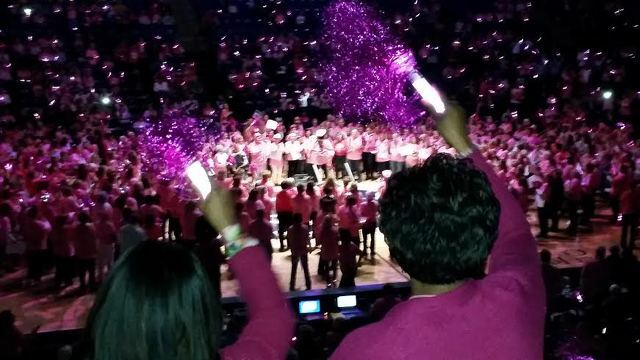 On Sunday afternoon, you wouldn't have known that THON ended if it wasn't for the beautifully bright sea of pink that filled the arena.